Photorealistic digital video animation, virtual and augmented reality on the web and in apps can be easily integrated into business processes. for the retail customers themselves. 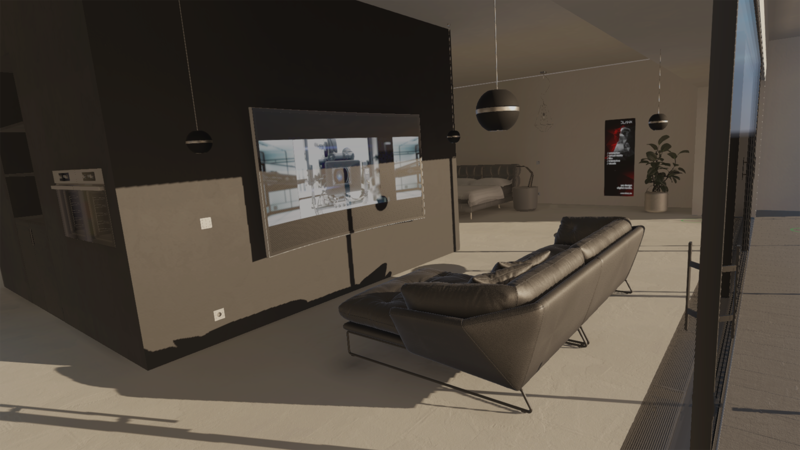 Experience products in your own home – simple, virtual with Augmented Reality. Whether the chair looks good in your own kitchen is quickly seen and therefore simplifies the purchase decision. Even before customers pick up your product, they can easily experience it virtually. Any changes or configurations can be tried out before the customer’s purchase decide. The use of AR gives your company access to innovative sales and market opportunities, which, with strong growth, are restructuring the economy. Augmented Reality also works without a special app, directly from the browser with WebAR! WebAR enables an even wider use because neither app nor additional skills of the user are needed and is therefore ideally suited to expand the existing web shop. Browser and web are among the technologies that everyone has available and in which they can easily find their way. The virtual product can reach the customer’s home with just one click. It can be that simple. Here AR in the browser once for testing. We asked ourselves the question: How will the Home & Living industry change in the future? Read the slides from our impulse talk “New Space for design”, if you want to know more about the impact immersive applications will have on tomorrow’s work. This is how brand love is made! Get fascinated by products, from whole brand worlds and reach a strong identification to the immersive experience. Above all, decision, selection and shopping experience gain significantly in attractiveness. Additionally, Virtual Reality is able to reduce costs in design and production and to facilitate innovation. information about VR & AR? Create an attractive product and brand experience, by visualizing the product portfolio with the possibility of photorealistic representation – doesn’t matter what communication channel. Whether web, mobile or app, at events, in the cinema or at your POS – animation as a digital film is and will always be an eye-catcher. From existing 3D / CAD data, an impressive representation of products can be created before they even exist. This is a great advantage not only for your customers, it is also an internal advantage to explain innovations to a broad audience. What is the Digital Twin’s job?